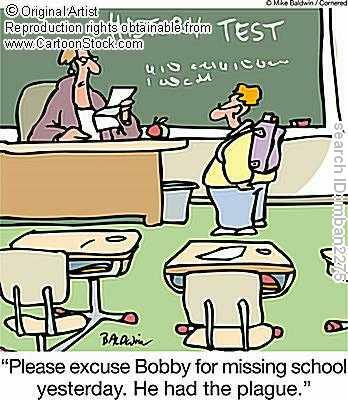 There are no excused absences. To receive credit for a course a student must not exceed 7 class absences per semester. After 5 absences the teacher will contact the parents. Students are given one day to make up missed work. A longer time frame can be granted depending on each student's circumstances. Some Quizzes may be retaken. Quizzes only may be retaken up to the end of a chapter/unit. After the unit is over a quiz may not be retaken.